First impression is this is a modest little book (especially if comparing it to some of the multi-pound coffee table picture books). But once read, especially if reading now in the 21st century, it is virtually impossible to forget. 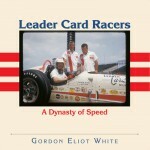 It is more than what is printed on the pages of Sports Cars of the Future. It is the realization of when it was written—in the latter part of the 1950s—and by whom, that simply stuns the thinking reader today. Strother MacMinn was the embodiment of the descriptor “car-guy”. His abilities were such that he was hired straight from high school by GM’s Art & Colour section then headed by Harley Earl. By the time he wrote and illustrated this book, MacMinn had determined after spending several years employed in the corporate world, that he wanted to continue working as a designer, but independently. Returning to his native California, he found consulting projects with a number of clients including Henry Dreyfuss and began, what would become a 50-year parallel career, teaching automotive design at Art Center. The prescience of MacMinn’s writings is startling. Ostensibly the book is about sports cars. But the cars, those real as well as those he hypothesizes for the future, are the ones that are today, a half century later, the most revered. Thus it is the principles beyond the specific, individual cars that form the overriding value of the book; design and engineering concepts that have been proven timeless due in part to the respect they demonstrate for the unchanging realities of nature’s laws. Between the covers of this “modest” book are American and European cars such as the Alfa Berlina Aerodinamica Tecnica’s (BATs), Buick’s Wildcat I and II, Chev’s Corvettes, Chryslers and DeSotos, the Ferrari Ghia, Mercedes-Benz 300SLRs, and Raymond Loewy’s BMW and Jaguar. There is a section titled “Gas Turbine Cars”, wherein are GM’s Firebird I and III (this era and these cars are told of in detail in Of Firebirds & Moonmen reviewed elsewhere on SpeedReaders.info). But the pages that provide the forehead-smacking, omg-impact are those that stretch this book into the future—the future that is realized, according to the calendar anyway, now. It has arrived. It is today. And it is not merely the vehicles themselves that he takes into consideration, but the influences of other conditions prevailing at the time of their being developed. Real world meets pie-in-the-sky dreaming. And always there is the common thread of what constitutes good design. You’ve heard it before, but MacMinn reiterates and proves the validity over and over: form must follow, and conform to function in order to have the result be of good design. It is the summation, the opinion and prophecy expressed by Strother MacMinn that reverberates all the more strongly when read today—50 years after the words were written and published. At the time he was writing these words, he had only been instructing at Art Center for a decade. As mentioned, that career would extend continuously for 50 years, until his death in 1998. He was instrumental in advocating and helping Toyota establish Calty, the very first satellite design studio. 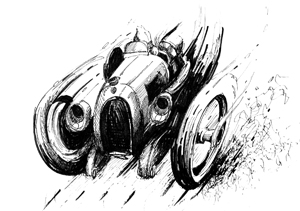 MacMinn was as much a part of the automotive industry as any individual can be, and irrefutably a “car-guy”. Yet here he is on the pages of this book counseling the car-making corporations, actually all of the transportation industry, to act and develop products, engines, entire transportation systems in a responsible way that respects this planet’s limited fossil fuel resource, and plan for the future with, “Application of future power sources to the concept might easily add a whole new dimension to sports transportation, and provide the ultimate in personal mobility.” Say what!? 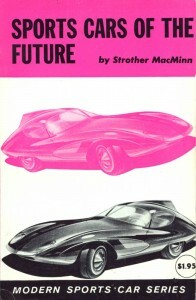 Go find yourself a copy of Strother MacMinn’s Sports Cars of the Future and read for yourself. 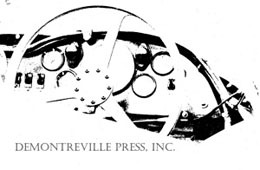 Sports Car Press produced a vast number of titles and was eventually sold to TAB books after which they went downhill. In its later years it was run by Mrs Greenburg, a delightful lady who ran the business well into later life. She was the widow of the founder. Maybe created a little later than Floyd Clymer’s publishing empire and more directed to foreign car interests. Does anybody know how many titles were published(including 2nd editions of which there were numerous)? HELEN VINCENT HUTCHINGS IS UNRIVALED AS A REVIEWER OF WRITTEN MATERIAL IN THIS GENRE. WE ARE SO FORTUNATE TO HAVE PRESERVED FOR PRESENT CONSIDERATION THE WRITTEN VIEWS AND EXPRESSIONS OF AUTOMOTIVE DESIGN BY THE LATE INDUSTRIAL ARTIST STROTHER MacMINN.